In my second year of primary school, the teachers made a video of all the pupils, asking them what they wanted to do when they were older. I wanted to be an actress. 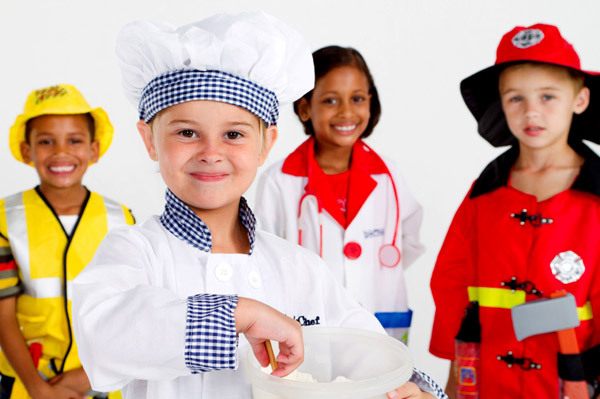 Others wanted to be firemen, police officers, teachers, doctors, pop singers, train drivers, pilots, spacemen. My brother wanted to be a lion. Back then, we felt like we had endless potential. If we dreamed it, it would happen. Graduate job applications, assessment centres and academic qualifications weren’t a concern. They didn’t even exist for us; because, of course, nothing did exist beyond the imminent joy of playtime and, for those thinking ahead, a golden summer holiday of Pokemon cards and ‘playing out’. Recently, public outcry ensued after Michael Gove announced plans to introduce standardised testing for four year olds. The youth of today, apparently, need to be reformed along with the education system; tested, ranked, and brought to understand the folly of reaching beyond their grasp. Should Generation Gove be sat in front of a video camera and asked what they want to do with their lives, they might hesitate to answer, admitting despondently that they used to dream of joining NASA before they got a B- in their Year 1 Maths exam. As a final year university student poised before the abyss of the unknown, I face two main fears. These fears contradict each other. The first is that, if someone employs me, I will end up as a cog in a corporate machine, finally having to concede that my childhood ambitions were naïve and unfeasible. But is this just my quintessentially ‘Generation Y’ sense of entitlement, the strain of overindulged narcissism that leads self-proclaimed ‘voice of our generation’ Hannah Horvath in Girls to deride her job at the prestigious GQ magazine because she wants to be ‘like, no offence, a writer-writer’? My second fear is that the same corporate machine won’t want me at all. I shall be proclaimed a ‘spare part’ by recruitment agencies: under-qualified, over-qualified, too shy, too arrogant, not enough experience writing about pot plants or electric bicycles. As a friend of mine put it, there is no option on an online form to say that your occupation is ‘finding yourself’ or ‘awaiting a job that respects your creative integrity’. 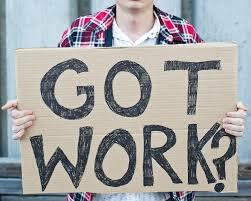 Unless you are travelling, or dating a rock-star, then there is simply no societal justification for unemployment. It represents an insidious feeling of unease that even a midday wakeup time and a Dominos delivery cannot alleviate (if only for the fear that, one day, you will have to downgrade your pizza supplier). Part of growing up is learning to be realistic. The myopic members of my Year 1 class had to surrender their dreams of flying a plane, whilst the tone-deaf teenyboppers have hopefully realised that they won’t succeed in becoming the next Britney Spears (nor, I imagine, would they want to follow in her footsteps nowadays). My brother, accomplished as he is, will probably never be a lion. And a job at GQ magazine, even if Hannah Horvath doesn’t realise it, is an ambition that only a privileged few will ever achieve. Yet it is only by maintaining our youthful sense of hopefulness that we will be able to withstand the inevitable series of rejections that precede our First Big Break. There are so many obstacles throughout early adulthood, chipping away at our self-belief. But we must all recall a time when we believed we could be anything we wanted to be, in order to pursue a career that unites our skills and the passion that, deep down, we know that we are meant to fulfil.